Calfskin leather upper and sole. Made in Italy. Approx 75mm/ 3 inch heel. 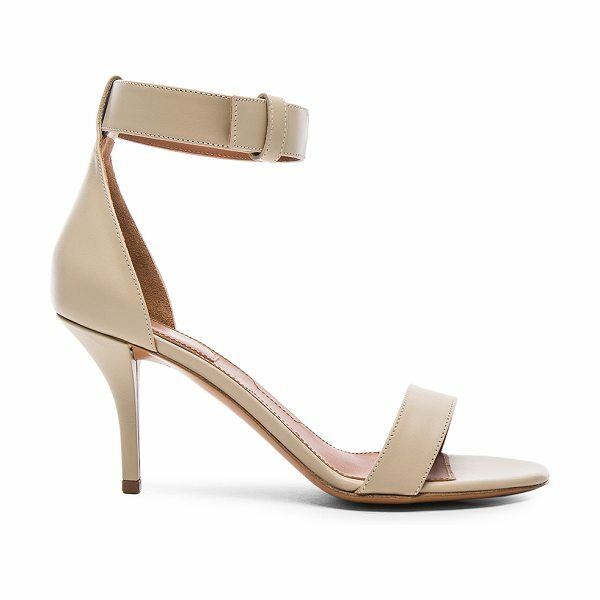 Ankle strap with hidden buckle closure.